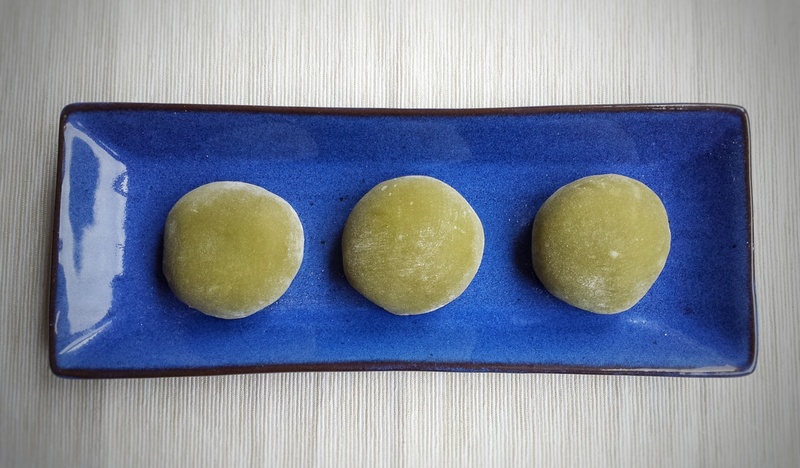 Mochi is one of my favourite desserts ! It’s sweet, soft, chewy….. just delicious. Traditionally, it is made by steaming a short-grain rice called mochigome, then it is mashed and pounded with wooden mallets in a mortar. I saw a video on YouTube on the fastest mochi maker in Japan. Wow ! It sure takes some serious skills and labour ! (Here is the link if you are interested https://www.youtube.com/watch?v=tmSrULDVRPc). Of course I don’t have those skills and tools. This recipe uses sweet rice flour and is very simple. The red bean paste matches so well with the green tea flavour. With a cup of green tea, I feel like I am in Japan……I wish ! This entry was posted in Other desserts and treats and tagged dessert recipes, desserts, fbcigers, food blog, food blogger, green tea, green tea mochi, Japan, Japanese desserts, Japanese recipes, matcha, matcha mochi, mochi, mochi recipe, recipes, red bean, red bean paste on October 26, 2016 by tinysweettooth. OMG! Mochis!!! love them, especially with the red bean paste in it! This is on my “to do” list soon! Thanks for sharing! I’ve never tried these, but just heard about them last week when I was watching a youtube video on sightseeing (and eating!) in Tokyo. Yes! We’re going later this winter! Must try your recipe first!! !